Originally produced over 40 years ago in the Béarn area in the Pyrenean foothills in Jurançon, Saint Albray is a classic among French cheeses. A smooth, cow’s milk cheese, with a pronounced light taste and unique colour. A distinctive creamy cheese, with a fine flavour, a pretty red and white rind that gives off a subtle aroma and a unique flower-shape. That paints the unmistakeable portrait of Saint-Albray. 70% of the milk used to make it comes from 260 milk producers within a 90 km radius of the dairy. 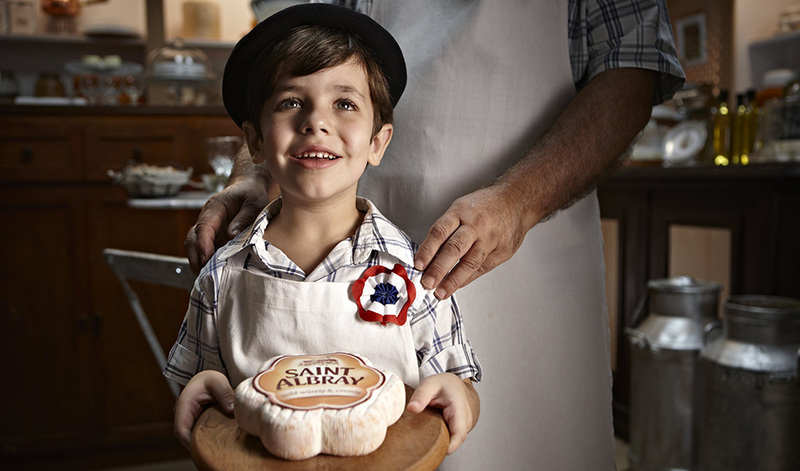 The creamy, delicious recipe for Saint Albray is available in family size. A stronger version, Affiné de Saint Albray is available from the cheese counter. This traditional cheese has adapted to new lifestyles. Alongside the original format, Saint Albray has widened its range with Minis portions. Individually-wrapped for even creamier gourmet texture. Ideal to take with you and snack on the move whenever you want it. Launched in 2015 in Germany and Austria, the new Saint Albray L’intense has chosen its six-serving format (ideal for snacking) to decline its creaminess on a more pronounced note. Number 1 tasty soft ripened cheese in France, Germany and Austria, it is also popular in Belgium, Switzerland and Japan. Made in Normandy, Le Rustique Camembert’s pronounced flavour contains all the richness of its birthplace and the expertise of the Master Cheesemakers – a cheese with character.